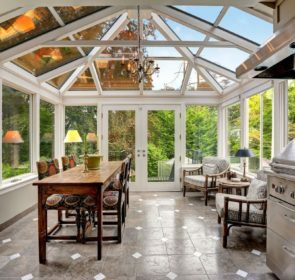 Have you been wondering about conservatory prices and what each style of conservatory actually entails? 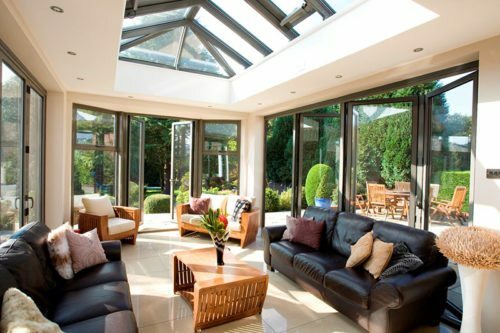 We have put together this helpful article to give you the price range of common conservatory styles and what each of them means. It is incredibly difficult to predict how much your conservatory will cost in total because there are many different factors that affect the final price. 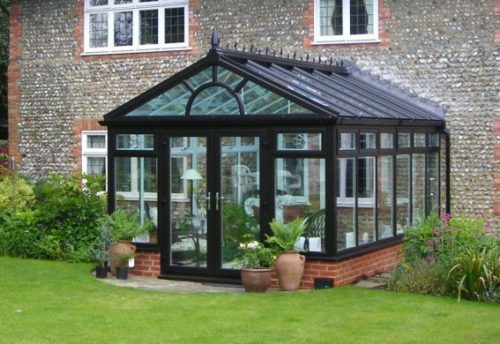 Conservatories are a significant investment—the general price quoted is in the £6,000 to £20,000 range. For a comprehensive price break-down, visit our dedicated conservatory prices article. If you’re searching for affordable options, try our article about finding cheap conservatories. For a more general overview, this table shows the price range for the most common types of conservatories. The minimum and maximum prices here depend on factors explained in the conservatory prices article. Suffice to say, if you want a bigger conservatory in nicer materials, you will be paying much more than if you install a smaller, uPVC conservatory by yourself. 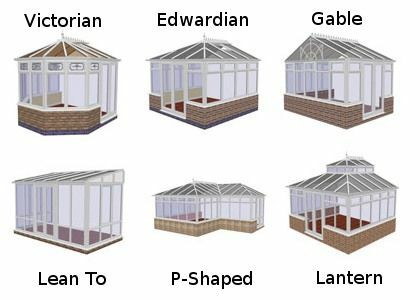 Next, what conservatory style should you choose? Find out more below. Get the best information and prices! 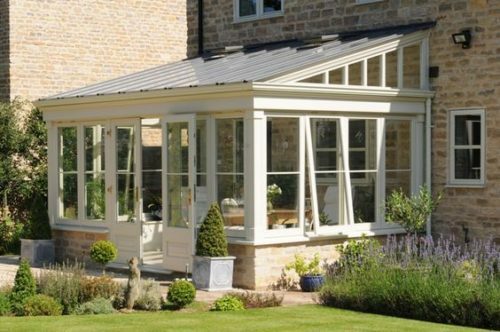 Your new conservatory will add so much to your home, but at what price? What can you expect from the whole process? 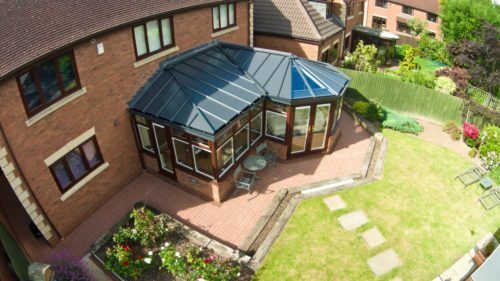 These questions can only be answered in detail by a local provider, which is why we put you in touch with a maximum of 4 conservatory providers. They will give you bespoke quotes so you can get the best price. Take a couple of minutes to fill in our obligation-free form and save a lot of hassle in the long run. This helpful graphic shows generic versions of each of the most popular styles. 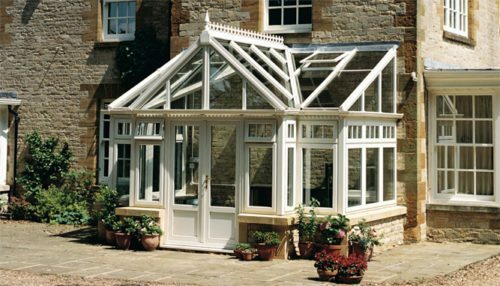 Beneath we explain more in detail the key characteristics of each conservatory type. Fit perfectly with more traditional properties as well as modern ones. Roof lines that all extend from a single point creating a curve to the exterior walls. Before planning a new conservatory have a think about the materials, style and size that will best suit your house and garden. 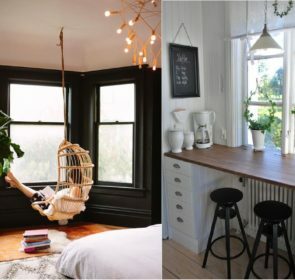 Certain styles are ideal for traditional houses, though nowadays you should feel free to style your additions the way you like – traditional and modern are a popular mix! What will you want to put in your conservatory? It is crucial to know how you will be using the space and what this will mean in terms of the furniture and fixings you have in there. The plugs, lights, heating and everything else will have to be thought out in advance, so make sure you have a general idea of the size and shape of the additional space. You may not need planning permission for your new conservatory! Generally, unless it is going to extend very far into your garden or high up near your roof planning permission is unnecessary. Ask your supplier whether they think you will need planning permission because it depends on where you live and your particular situation. Either apply for it yourself or the installer files the applications and approvals – making it a lot easier for you. If you are looking to do minimal work and maintenance, aluminium gutters are preferable to plastic, as well as an aluminium roof. Hardwood constructions are more difficult to maintain. Make sure you choose fully air dried oak since it is a lot more durable. It is also easier to maintain than green or partially dried oak. 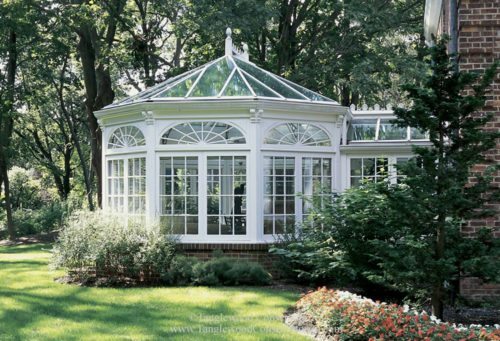 Ask your provider what normal maintenance will look like for the conservatory you choose. A common pitfall of conservatories is that they are too hot in the summer and too cold in the winter. They can retain and lose heat very easily if not properly insulated. 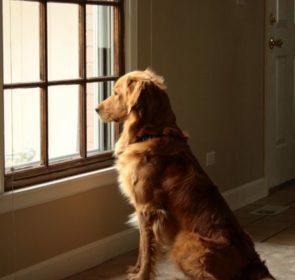 To avoid this, you can choose Low-E glass, reflective glass or polycarbonate. The temperature inside will also depend on whether your conservatory is facing north, south or has some shade on it. 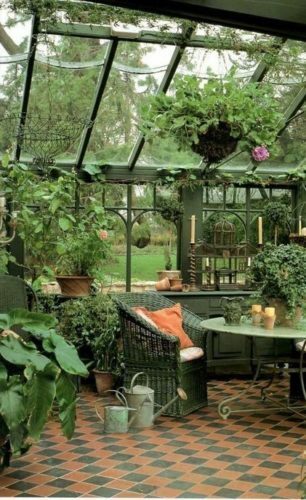 What is the most important thing you want out of your conservatory? 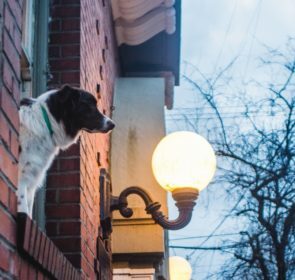 Do you want to add more light to your home, or retain heat a little better? Depending on what you are looking to add to your home, you will need different materials and styles. Ask your window provider what kind of structure is best for your needs so you are satisfied. Will you need any base work? 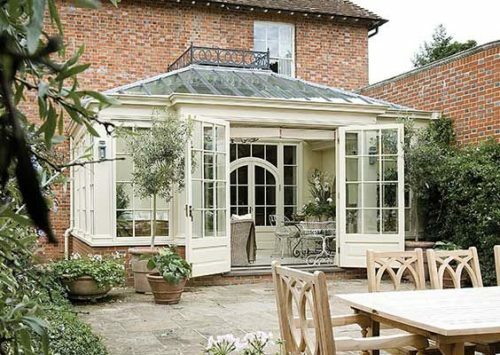 For the price of different base work projects, see our conservatory prices article. It is important to know the extra work you may need like foundations, boiler vents, tree roots, kitchen waste pipes and adding or removing drainage or water lines. This could greatly affect the final cost of your extension. The cost of the different materials your conservatory will also vary quite a bit. As a general rule uPVC is the cheapest material, hardwood is the most expensive and aluminium falls somewhere in the middle. Buying a conservatory is a considerable investment of your time, energy and money! You do not want to spend too much money and spend hours trawling through websites trying to find the right information. By talking to local providers you will rapidly get the most up-to-date and personalised information, allowing you to save up to 40% on the final price of your conservatory. Compare up to 4 conservatory providers in your inbox by taking a couple of minutes to fill out this obligation and cost-free form.